MMABloodBath.com is finally on Facebook! The MMA BloodBath Video Blog will be posting tons of stuff and all the streaming fight videos links will be there too... so Check us out on Facebook and become a fan! 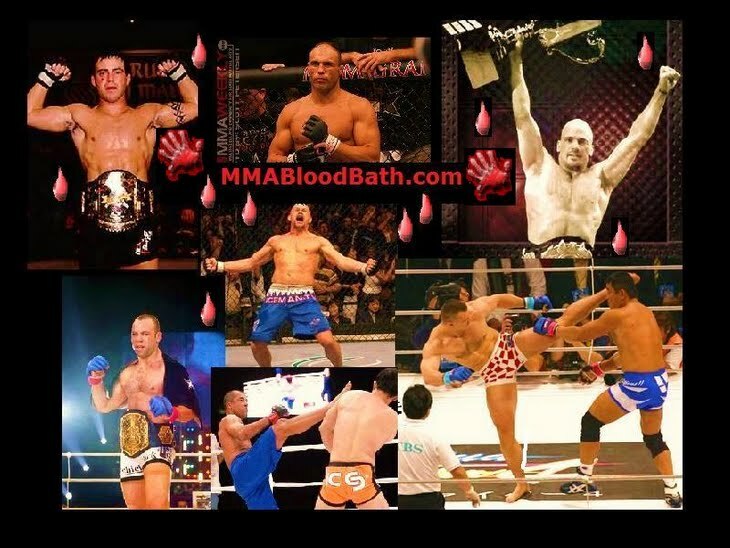 MMABloodBath Official Facebook Page - Become a FAN! So now that we're officially on Facebook and Twitter www.twitter.com/mmabloodbath (for some time now from before) - it's gonna get very exciting and crazy with tons of MMA mixed martial arts online streaming fight videos from all over the UFC - Ultimate Fighting Championship, WEC - World Extreme Cagefighting, Strikeforce, K-1, DREAM, WVR Sengoku, Bellator FC, M-1 Global / HDNET Fights, KOTC - King of the Cage, and much more! You'll also find all the various MMA Mixed Martial Arts streaming fight videos online free including some blast from the past with fight promo organizations like Pride FC, EliteXC, Affliction MMA, Cage Rage, IFL, YAMMA, Art Of War, BoDog fights, Rio Heroes, Vale Tudo, Shooto, Yarennoka, and much more.